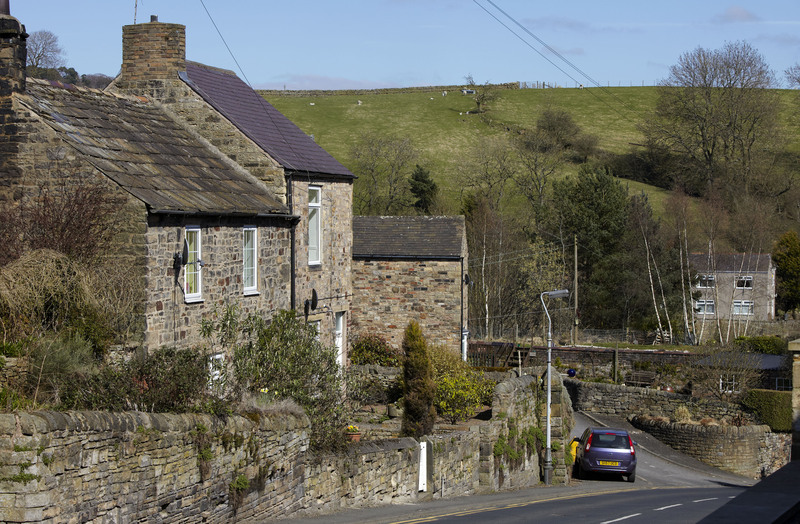 Three miles from Hadrian’s wall, Haltwhistle, with its stone built houses, is a great base to stay while visiting Hadrian’s Wall World Heritage Site and the Northumberland National Park. 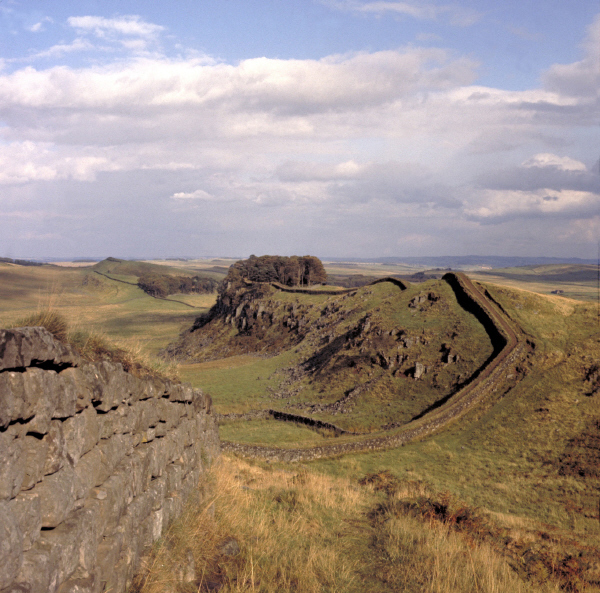 The National Park contains some fine sections of Hadrian’s Wall. In the past local farmers used it as a handy source of stone for building. Otherwise it has been left. Visitors can enjoy the wall’s forts and milecastles, small forts built about a mile apart along the frontier. There is beautiful countryside, and there are historic places to visit, in every direction. The town is reached by the A69 Newcastle to Carlisle road and the Tyne Valley rail line. There are early prehistoric sites around Haltwhistle and Iron Age or Romano-British settlements to the south. To the north of the town, are two Bronze-Age standing stones known as the Mare and Foal. Haltwhistle lies to the south of the World Heritage Site of Hadrian’s Wall. However, no prehistoric or Roman remains have been found in the town. The early version of the name Haltwhistle, perhaps Hautwysel, suggests early-Medieval origins. Normans ruled the north of England from the late C11th. From the mid C12th, the town was within the Liberty of Haltwhistle Tynedale, part of England managed by Scotland. The liberty however, was not Scottish. Haltwhistle, was held by the de Roos family, up to the C14th. English Kings kept some rights within the liberties, such as the rights to allow markets and fairs. In 1306, Edward I granted William de Roos the right to hold markets and fairs at Haltwhistle and it became a market centre with C13th church. The Borders were troubled over much of the medieval period. After 1296 there was war, on and off, between England and Scotland for centuries. In 1306 Edward I rested at Haltwhistle on his way to fight the Scots. The town suffered from Border conflicts and endured raids to the end of the C16th. The C13th Church of the Holy Cross is one of the earliest remaining churches in England that is still in use today. A Grade I listed (Historic England) building, it is in the Newcastle diocese. Its churchyard provides good views over the Tyne Valley. Inside is a grave with a cross, a sword and the Blenkinsopp coat of arms on it. The chancel dates from about the late C12th and the water stoup dates from the C7th. The nave is taller than the chancel; it has lower north and south aisles with clerestories for light. The nave also has original buttresses on north, south and west walls. There are later buttresses on the walls of the chancel. Inside the church are three C14th cross-slabs and an effigy of a knight. The vicarage is south of the church. Dating from the C17th, it may have earlier parts. The church is quite large; much of the outer shell is the original C13th in the Early English style, while the rest is Victorian. For those interested in the architecture of churches the Archaeological Assessment of 2005 by Peter F Ryder has fascinating details. There has been a market here in the town since 1306 when Edward I granted a charter. As was the case with other boarder towns, Haltwhistle suffered much feuding and raiding during the medieval period. There was once a castle and several fortified homes. The nearby Thirlwall Castle dates from the C12th. This was once the strongly defended home of the Thirlwall family; an easy walk, taking 1-2 hours, links places of interest. Mr George’s Museum of Time is a family-friendly watch and clock museum. The Roman Army Museum is close by at Carovan, the site of a Roman Fort. Here there are artefacts from Vindolanda, including a Roman helmet crest. The Haltwhistle Partnership brings together local people and organisations with an interest in the well-being of the town. http://haltwhistle.org/ . The local golf club claims to be ‘probably, the most scenic and historically interesting course in Britain’. 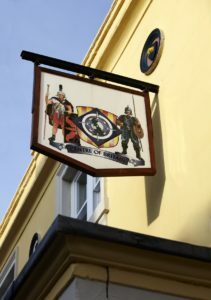 Visitors might like to check the CAMRA web site for a list of pubs selling real ale. Keen walkers will be heading off to Haltwhistle Walking Festival which is celebrating its 30th year in October 2017. The late C19th footbridge at Haltwhistle railway station, built for the North Eastern Railway Company, is Grade II listed. The railway closed in the 1930s along with the South Tyne Colliery. Parts of Haltwhistle Station buildings survive including Station House, the ticket office and the waiting room. These 1838 buildings are Modern Gothic or Tudor style, probably by Benjamin Green. North Eastern Railway added water-tanks and two water columns in 1861. Peter Tate designed them and Wylie and Co built them. There is a brick and weatherboard signal box on the south platform and the footbridge. These date from the late C19th when the London and North Eastern Railway (LNER) built them. 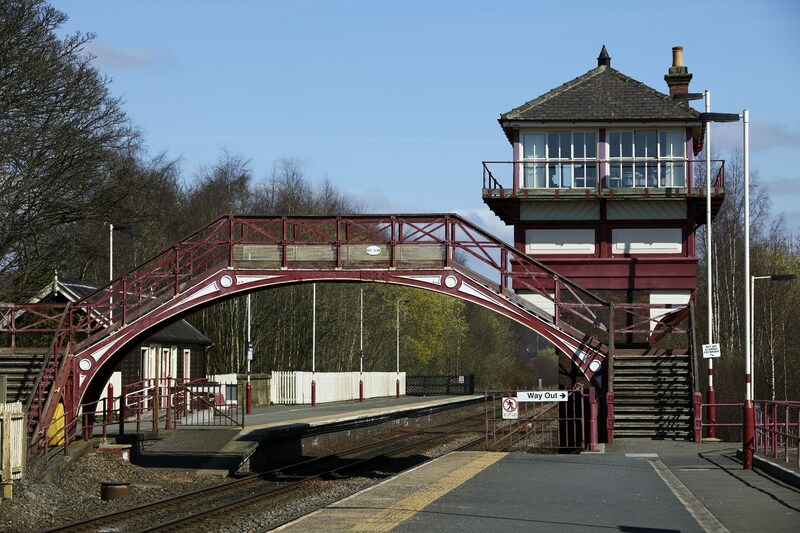 If you have visited Haltwhistle please tell us what you enjoyed.